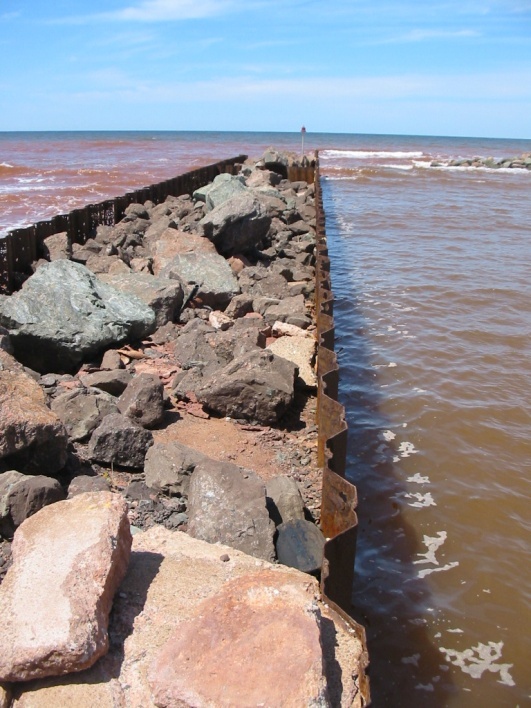 HEC was engaged by PWGSC to develop a concept and complete the detailed design of repairs to the existing severely deteriorated SSP bulkhead breakwater structure at the Skinners Pond facility. The preliminary phase of the work included the assessment of the condition and life expectancy of the existing structure. This included a review of existing drawings, onsite inspection and thickness testing. A report was developed indicating the existing structure had surpassed its useful life and was in need of immediate repair. Phase II of the project included the development of a concept plan that would meet an 25 design life and would meet or exceed the level of safety experienced with the original structure. 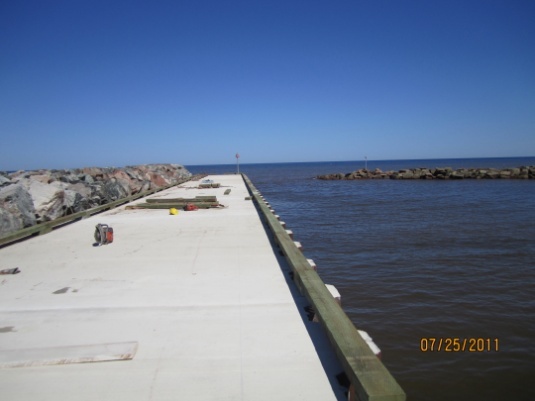 There was also a requirement to develop a solution that would allow for land based dredging to occur from the deck of the existing structure. Harbourside developed a concept allow the fishers to of new SSP outside of the existing SSP, new walers and tie rods, concrete dead man tie backs, and the installation of a new rubblemound rock breakwater/wave break directly adjacent to the rehabilitated structure, and the installation of a new concrete deck.